KEITH OLBERMANN, historically one of ESPN’s most prominent and impactful commentators, will expand his existing ESPN role by making additional appearances across ESPN platforms and programs in 2018 as part of a new agreement, it was announced by Norby Williamson, ESPN Executive Vice President, Production and Managing Editor. 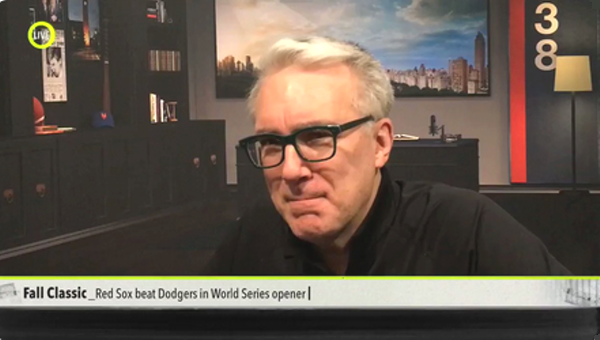 Olbermann, who has contributed to various ESPN shows since January, will combine select studio assignments with on-site opportunities, including calling the radio play-by-play with analyst Jim Bowden for Astros at Yankees on Memorial Day, Monday, May 28, at 1 p.m. ET on ESPN Radio. The sports media giant wants more of 59-year-old ratings machine Keith Olbermann . . . So bring him back to NBC, you mugs! 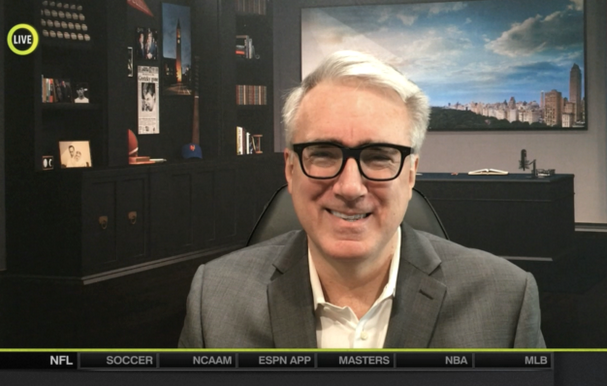 Keith Olbermann is expanding his role at ESPN — but it was nearly even bigger. Sources said ESPN considered offering Olbermann the full-time 6 p.m. “SportsCenter” show, but ultimately decided against it for a variety of reasons, including logistics, as the show will continue in Bristol and Olbermann lives in New York. The 6 p.m. show ultimately went to Sage Steele and Kevin Negandi. Re: 'Corporate announcement' re Keith's ever-expanding role at ESPN! Sports Illustrated discussion: Was it a good idea to expand Keith's role given the current political climate? At the top of the page, to go directly to the topic, move the slider to 21:00. Episode 180 of the SI Media Podcast features a roundtable discussion on stories in the news with Sports Business Journal assistant managing editor Austin Karp and Sporting News media reporter Michael McCarthy. Topics include what ABC/ESPN wants for the NBA Finals next season; how the latest round of national anthem controversy will impact the NFL and its broadcast partners; whether ESPN made a mistake in expanding Keith Olbermann’s role; the future of “Get Up”; what is going on with FS1’s daytime shows; future sports gambling shows; the debut of “High Noon”; and much more.